Cannabidiol (CBD) is a type of cannabinoid, which is a naturally occurring non-psychoactive chemical found in the hemp plant. Unlike the major marijuana component tetrahydrocannabinol (THC), it does not create the feeling of being “high.” Rather, CBD oil is a kind of medical cannabis and can be used as an effective treatment for a variety of painful symptoms and chronic disorders. Cancer is a large family of diseases that result from abnormal cell growth. The diseases include psychological outcome arising from the cancer effects. Millions of Americans now have legal access to CBD and THC, which can be applied to alleviate cancer patient’s psychological burden. There are hundreds of thousands published scientific reports showing that CBD and THC inhibit tumor cell growth. Please refer to the ProjectCBD for examples of the scientific literatures. Experiments carried out on cells and animal models have demonstrated that CBD and THC can suppress the growth of many different kind of tumor types. They have cytotoxic effects on tumor cells and prevent neo-angiogenesis and metastasis. Scientific studies have elucidated the molecular pathways that lead to the destruction of the tumor cells, which make it possible to develop safe and effective CBD and THC related agents for treatment of cancer patients in the future. For more examples of more testimonials, please refer to CBD International. 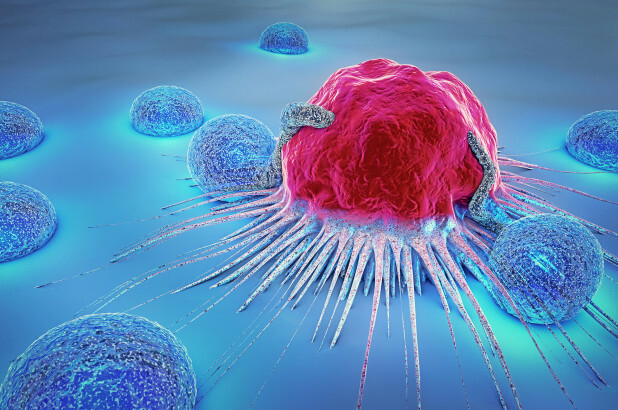 To gain FDA approval as anti-cancer drugs, the agents need to pass two criteria, safety and efficacy, besides the product qualification validation. To reach these two criteria, a series of studies need to be performed. So far, there is no any CBD and THC products that pass FDA safe and effective standards. FDA issued warning letter to four companies that claims their CBD to be effective against cancer. In the letter, FDA clearly stated that the four companies illegally sold products online that claim to prevent, treat, or cure cancer without evidence to support these outcomes. Selling these unapproved products with unsubstantiated therapeutic claims is not only a violation of the Federal Food, Drug and Cosmetic Act, but also can put patients at risk as these products have not been proven to be safe or effective. The deceptive marketing of unproven treatments may keep some patients from accessing appropriate, recognized therapies to treat serious and even fatal diseases. While there is no FDA approved CBD and THC products for cancer treatments, it is apparent that they have the ability to moderate inflammation and alter how cells in the body reproduce. In fact, medical cannabis can reduce the ability of certain types of tumor cells to multiply and grow. The fascinating thing is that CBD target the cancer cells and leave the healthy cells unaffected. The National Cancer Institute states that cannabinoids are useful in treating the side effects of cancer, and can ease the pain of some common cancer treatments like chemotherapy. They also state that the effects of medical cannabis could include anti-inflammatory activity, blocking cell growth, and preventing the growth of blood vessels that supply tumors. There are a number of clinical trials that use cannabinoids for treating cancer in humans and many more are under plan to use marijuana as a cancer treatment. 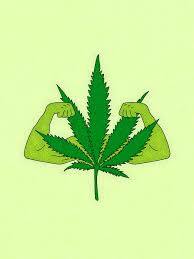 In near future we may witness that medical cannabis can be safe and effective in treating cancers. CBD oil comes with many different forms, such as pill, tincture, and spray. Cancer patients can take CBD oil in a variety of ways in order to feel the benefits of CBD. Most commonly ingested orally in the form of a paste or drop, the CBD oil should be held under the tongue first so that it’s properly absorbed in the mouth before it’s swallowed. If this step is skipped, some of the CBD will get broken down by the digestive system, reducing its effectiveness. Some people prefer using a CBD vaporizer or inhaler because it delivers the CBD into the system very effectively. Other ways to take CBD oil include capsules, mouth strips, and edibles like gummies or chocolates. If it’s hard for the patient to ingest the CBD oil, another option is to apply it topically using a lotion, cream, balm, or patch. It all depends on what the patient can handle, and the way in which the CBD treatment is most effective for them. There are limited side effects when CBD is used for cancer patients. For detailed side effect, please click here. Scientific studies show that CBD and THC can inhibit the growth of cancer cells and when administered together, the effect is far greater than larger doses of individual compounds. While combinations of CBD and THC work more efficiently than that of the individual components, the efficacy of cannabinoids may be greatly enhanced when they are use as a complimentary medicine. Evidence is emerging from scientific studies that chemotherapy and radiation treatments can greatly increase the sensitivity of cancer cells to THC and CBD. As of today, January 30, 2019, there is no doubt that CBD benefit cancer patients. The next step is you need to find high quality CBD products. CTFO is a well-established health and wellness company and is committed to providing the highest quality and lowest priced CBD products on the market. CTFO Hemp Farms are fully compliant with the State Department of Agriculture regulations. The CBD is made in USA, completely isolated through CO2 extraction, crystal precipitation, and is of the highest grade, pesticide free, Non-GMO hemp in the world. 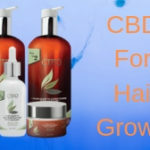 If you are interested in carry out your own CBD business, CTFO offers you a totally FREE opportunity to become their associate, provides FREE personalized websites, and all the factual information needed to promote their great products. To learn more the potential business, please click here. Velasco G, Sánchez C, Guzmán M: Towards the use of cannabinoids as antitumour agents. Nat Rev Cancer 12 (6): 436-44, 2012. Interesting post. As a cancer survivor, however, I am concerned that your post does not advise that people should use CBD as part of their cancer treatment in consultation with their doctors. It would be dangerous if one were to forego traditional forms of treatment. Also, it would be nice if you could link to some legitimate medical journals to support your hypothesis. Thank you for including he FDA warning as well. It is no surprise to me that there are so many cancer survivor in this world at this time of human history, as statistically suggesting that 1 out of 2 men and 1 out of 3 women will be diagnosed with cancer in his/her life time. As scientific advancement in cancer treatment is going on, cancers become chronic diseases. More and more patients, including cancer patients, seek integrative approaches toward their illness. The surprising positive outcome of CBD oil in managing different conditions is one example. I was surprised that my physician was so negative toward CBD oil when I asked his opinion. But in realty, testimonials after testimonial, people love the CBD. This is something I can’t figure out why? Thanks for your suggestions and we add some scientific journals at the end of this post. Good luck with your cancer fight! It’s obvious that the FDA is in the pockets of the Big Pharma. They would probably prefer the word not get out about CBD oil, but I have been reading nothing but positive reviews about this miraculous product. To read that woman’s review on this article that states she had stage 4B inoperable uterine cancer with a tumor of 15 cm and they gave her 6 months to live, and now she is cancer free, that is a miracle straight from God. These doctors need to wake up, see the results, and stop the nonsense. The way medicine in this country all but ignores nutrition and plant-based cures and therapies is ridiculous. Criminal, really. Keep spreading the word. Sites like yours do a great service to people suffering from these horrible diseases. I agree with you that the US medical system is controlled by the rich and powerful elite, who have their interests. I have been working in the biotech and pharma for 20 years and understand that the ultimate goal of the companies is deliver shareholder value or make money for the shareholders. They don’t put patients first and they think about how make money for themselves. Take the CBD oil as example. They are not interested in developing it into a drug, since there is no way for them to patent CBD and thus it is not possible for them to gain the exclusive right to the product, not able to make a lot of money or deliver shareholder value. Instead the big pharma try the synthetic CBD, which can be patented. We all know that mother natural generates the best products. They will not use the best products but use the sub-optimal one to control the market. With the patented products, they will charge 100 times even 1000 times higher than the natural one, even though it is less effective. It is interested phenomena and we will see where the CBD business lead us. CBD oil is really getting a rave review. I would like to know when the world of science ‘discovered’ the CBD oil. We all know the CBD oil has capacity to relieve pain and stress but if it can cure cancer this would be great. I’ve actually lost two relatives to cancer and a cure like this for cancer would be good for the world. Especially places like Africa, where cancer treatment centers are hard to find. Thanks for stopping by. The CBD is certainly gotten attention of scientific world. The scientific publication is booming. I expect to see more and more news on the CBD. The CBD hypothetical cure for malignancies has been a topic for discussion begging for prove to substantiate the claim,but many advocates of cannabis only make claims on paper without practical evidence that get them patent.The appetite booster effect is notable one even among recreational users of cannabis, it on this premise that many theories arose and now extension to cytotoxic agents. As the time goes on, more and more data will appear. I am confident the data will support the CBD use for many different conditions. Cancer is a complex disease and will take time to gain conclusion. I have gained a lot by reading your article. Your review of the CBD is a very sincere one. I think this treatment solution beams a ray of hope for patients that are suffering from cancer. This seem to be one of the safest methods of cancer treatment. An information that is encouraging here is the fact that scientific tests have been carried out and CBD and THC have proven to be effective. The world is surely becoming a better place. Thanks for your comments. So far, there is no any report on the safety issue regarding CBD. You are right that more and more scientific reports indicate that CBD and THC are effective for treating many conditions, including cancer. not so long ago, I’ve discovered CBD and I’ve been doing some research on it, and so far I have to say I am very impressed by it due to its phenomenal medical benefits, such as anxiety reduction, stress relief and in our case today- CBD’s oil usage for cancer treatment. Prior to reading this article, which by the way I found to be very informative and descriptive, I have heard about using CBD for cancer treatment, however I’ve never invested my time into learning about it and eventually kind of forgot about it, therefore I am happy that I’ve stumbled across Your article so I can finally learn how it is used in medicine for cancer patients. It was very fascinating to learn that CBD has the ability to alter how cells reproduce in the body and also can moderate inflammation- great stuff! I was also quite pleasantly surprised to discover that medical cannabis can prevent the growth of blood vessels that supply tumors. This is truly mind-blowing and I really admire the fact that as weed gets more and more legalized & decriminalized worldwide, the more & more of medical researches are being done, which keep discovering & bringing up new & new medical benefits each time, and I am sure that there are still a lot of undiscovered pottential in medical cannabis. I am just truly happy to see that more and more people start recognizing weed as a viable & practical medicine which is capable of improving health and enhancing the quality of daily life in general, and I wish more people worldwide would be able to use it and enjoy these amazing health benefits which cannabis provides. Thank you very much for your thoughtful comment and valuable encouragement. You are right that CBD may be one the most versatile agent and can be used to treat a number of illness, including anxiety, pains, neurological disorder, and cancer etc. The evidences of CBD on effective treating different diseases are growing daily. If you have time and do search through professional journal, such as MedLine, you will find hundreds of thousands articles associated with CBD and disease treatment. It is even amazing that general population are very positive about the use of CBD. One of my friend was diagnosed with skin cancer and he used the CBD oil and after few weeks, the cancer disappeared. Another friend had seizures several times a day. After using CBD, her seizures were totally disappeared. In the CBD business, it is apparent that passion of general population for CBD is far exceeding the scientific evidence. It is interesting for us to witness the scientific development of CBD. I’ve lost close friends and families to cancer and the pain is unending. When I heard about this treatment I wish I could go back in time and offer those that was lost a hope to not having to having to loose them at all. As far as I know, it’s really a great remedy and I have come across testimonies about how effective it is. I bet this post will go a long way in effectively encouraging those who have a doubting mind about the treatment. As the evidence of CBD for treating different diseases grows, people will understand the benefit of it, attracting people’s trust and leading to more use of the miracle agent. Do you by chance have any links to research showing the benefits of CBD for cancer? The link to Project CBD, but I didn’t really find any clinic research or data to back the claims (maybe I just missed them).In my experience, there is no doubt when it comes to the mental benefits of CBD for those dealing with cancer and the side effects of treatment. CBD help in dealing with pain and mood translates into physiological benefits. So, even if it doesn’t fight the cancer, it should be a “tool” that is used when ever possible.My friend’s father lives in Hawaii and has been dealing with chronic issues most of his adult life. He couldn’t stomach CBD, so he ended up crafting his own lotions…they really worked for him. So, for anyone worried about taking “drugs”…they often are way more comfortable rubbing some lotions on their skin.Thanks for the info. I would love to see more cancer research with CBD! I just added two review articles on CBD for treatment of cancer at the end of this post and from them you should be able to find more articles on CBD. It is apparent that the clinical trials are not conclusive and time will tell if CBD is effective against cancer or not. CBD comes with many different kind of format, such as pills, tincture, and vape. People have the chance to select the optimal ways to deliver CBD into their body. I love CBD oil and so far it’s made a big difference in my life.I’ve read so much and so many testimonials from people who had cancer and after taking CBD oil, their tumors shrunk or disappeared. Anything that can do that is well worth taking for sure.It’s a shame that it took this long for the government to legalize CBD oil. It’s always been about making money over trying to help cure cancer and every other disease.I could not agree with you more about CBD oil and just how powerful it is. Don’t you agree that everyone should be taking CBD oil? I am glad to hear that CBD oil give positive effects on your health. As mentioned in my early comments, the big pharma don’t serve patients first, but their shareholder. So far no any company help to carry out clinical trials on CBD against cancer, since they look for patented agent in order to gain exclusive right and sell higher price, this make more money and create shareholder value. I agree with you that everyone should take CBD oil since in normal people it can be employed to maintain the body’s homeostasis, preventing onset of many diseases. Hi, thanks for sharing this very well set up website information. I actually clicked on the CTFO site and after reading about their product and test results, i felt like joining as associate from your link. I am also affiliated with two other companies. CBD oil medicinal properties are beginning to gain much ground. Which also makes it hard to know which is legit or not. From the test result of this company seems alcohol is their extraction point and their product seems organically grown. Thanks for sharing. I did extensive research on the companies, who provide the CBD products. 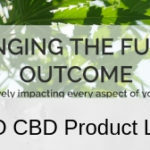 The Change Future Outcome (CTFO), https://myctfo.me/kcancer, provides the highest quality products. They employ the most advanced technologies to extract CBD oil. Their products have the lowest price in the market. Please let me know, if you have question regarding selections of CBD. I am a believer, that I would like to say as a start. Natural things are my favorite and always my first choice. If the FDA approves or not I really do not care. They have approved many harmful things in the past and are buddies with Big Pharma. Natural things cannot be patented and that is why there is such an opposition to Cannabis. I really hope that soon Cannabis will be legalized for medical purposes. You are right that the CBD oil is a natural product. 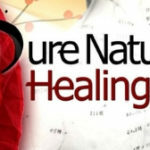 So the general population love it and there are huge numbers of testimonials indicating it is effective for a number of medical conditions, such as pain, aniety, and psychological disorders. Since CBD is legalized now and I anticipate that there are going to have more scientific studies on it, which will support the CBD’s use for medical conditions. For real!! CBD oil could inhibit growth cancer cells? the way cancer patients are increasing rapidly with time, products like this should be in every home.It’s obvious that CBD has so many medical benefits. Your review about CBD Oil has being helpful so far. You are doing a wonderful job here. Thanks for stopping by. There are scientific evidences indicating that CBD inhibit cancer cell growth. But these studies were mostly performed in the laboratories and in cultured cells. With legalization of CBD, it is possible to test CBD on cancers in human body. We are expecting to gain more and more information on this aspect in near future. There needs to be more websites just like yours to get this message out to the uninformed and the misinformed. There is way to much bad information on the internet from 85 years of government propaganda. The schedule 1 class is absolutely ludicrous. Finally in December the Hemp Farm Bill was passed in congress and already farmers in the west are turning to Hemp crops to save there family farms. The manufacturers like CFTO are under strict guidelines to produce the very best products. I understand that these companies have gone even a step or two farther then government regulation to ensure their products do as claimed. I followed a 9 episode documentary last summer on Cannabis & Hemp called the Sacred Plant you may have heard about it. This series of 1 hour videos totally changed my thinking towards medical Hemp and Cannabis. I have two sisters and two brother-in-law now taking CBD Oil and they are all in agreement, the Lords remedy found in the Sacred plants are the answer to their pain. Hemp & Cannabis are not new to healing, they have been used as far back as the ancient Egyptian times. Great article, thank you for this. Thank you very much for your encouragement and your insight on CBD. You are right that we need to promote good natural product like CBD. It was too long that government suppressed the use of hemp product for medical use. Right now is good time for us to test this magic agent. CTFO is one the best CBO oil producer in US. Its product is manufactured under current good manufacture practice (cGMP). All products are tested under third-party laboratories. It is nice of you to suggest the 9 episode documentary “the Sacred Plant”. I am going to looking for the videos and will study them carefully. I am glad to see that you share your personal experience with us on the use of the CBD oil. It is apparently that your family members love the products. They improve health of your family members. Do you use CBD oil? How is your experience with it? I have back pain and tried many treatment methods. The results are not good. However, my pain disappears as soon as I use the CBD oil. It is a magic agent for my back pain. Thank you very much for stopping. Let’s work together to let more people to share this wonderful healthy remedy.